Free Birthday Anniversary Manager template for Organizer Deluxe and Organizer Pro users. 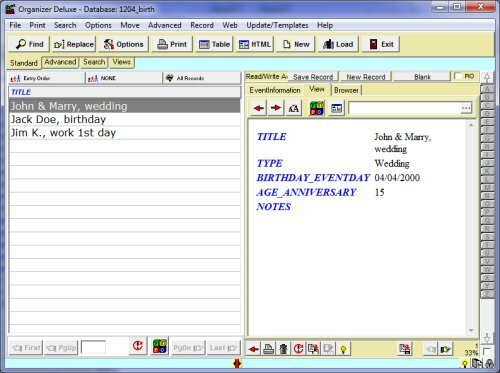 Ready-to-use, simple database template for tracking birthday, important event. 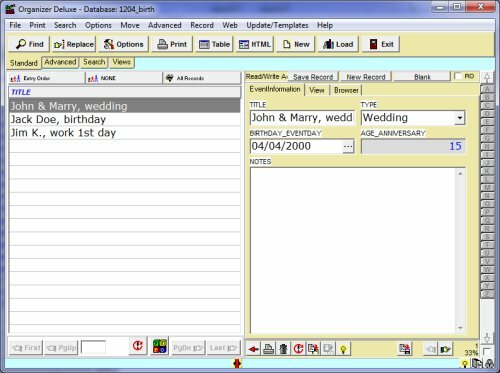 Use this software template to track and organize all your birthday, important event.